Welcome to the North West Area of the Motor Caravan Section. Our area covers Cumbria, Lancashire, Merseyside, Greater Manchester. Cheshire, the Isle of Man and Crewe. The majority of our meets are on hardstanding which allows us to attend meets throughout the year. We hold social events, themed nights and hold two Temporary Holiday Sites during the Summer. Whenever you attend any of our meets you can expect a warm friendly welcome. If you are a first timer please let our stewards know and they will offer any help and assistance as required. All units are invited to join us and we look forward to seeing you at one of our meets in the near future. 1. Please join our facebook page where all communications and activities are regularly updated. For the easiest way to find out what is going on. 3. 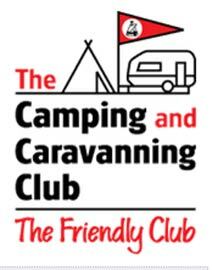 Look in the Out and About pages of Camping & Caravanning magazine for details of the Meets, Temporary Holiday Sites and events which are organised all over the country. Out and About is also available online here.